We’ve been hearing about the Galaxy Tab S2 for quite a while now. A report tells us that the device will break cover next month, sporting a slim design as rumored. It is being said that there will be 9.7 and 8 inch variants of this tablet, both with a thickness of just 5.4 mm, which is quite amazing for a tablet. The resolution should be Quad HD, much like the previous iteration, although there is word that it might be dropped to 2048 x 1536. It is being said that Samsung will use a new 64-bit Exynos chipset with Android 5.0.2 running the show. The tablet should also pack 3GB of RAM, an 8-megapixel camera on the back and a 2-megapixel front camera. With an announcement expected next month, the tablets should go on sale by July. 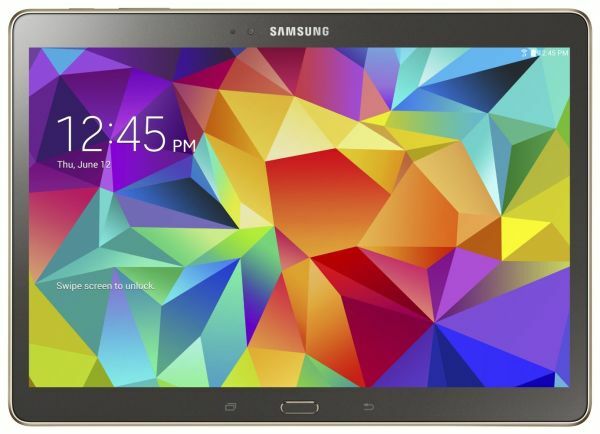 The Galaxy Tab S series offer AMOLED displays in a larger size, providing excellent color saturation and deeper blacks. The Galaxy Tab S has practically zero competition in the market, at least as far as the display quality is concerned.